At this week’s meeting, the top policy-makers at Surrey County Council were due to make far-reaching decisions about plans and budgets for five vital family services: children’s centres, special educational needs, libraries and cultural services, recycling centres and concessionary bus travel. These services are an important part of the council’s revenue and capital budget 2019/20 to 2023/24. Ahead of the meeting (and the decisions!) the council carried out a major public consultation on the principles behind their proposals for change. The responses (published in cabinet papers*) provide a valuable picture of what matters to Surrey residents. Citizens Advice Reigate and Banstead responded to the consultation on libraries and cultural services. We show** that our work fits perfectly with the SCC libraries principles and that closer cooperation could make a positive contribution to the council’s vision for Surrey. As an example, we believe co-locating the CARBS Redhill office with Redhill library would be in line with SCC strategy and provide new opportunities for working together. 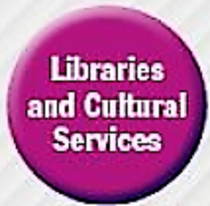  People were hugely positive about the relevance and role of libraries and cultural services in the community.  People like shared spaces – frequently mentioned ideas were cafes, children’s centres, information hubs, general support for co-located services and partners. People evidently understood the concept of hubs and sharing spaces. As council members finalise their transformation plans and 5-year budget we hope they will look positively on the potential for Redhill residents of co-location which we understand operates successfully in other boroughs. these services, albeit in shared premises.